Gadgets are expensive but some things like smartphones and laptops, are becoming increasingly more built into our lives. If you don’t want to break the bank, why not buy refurbished? 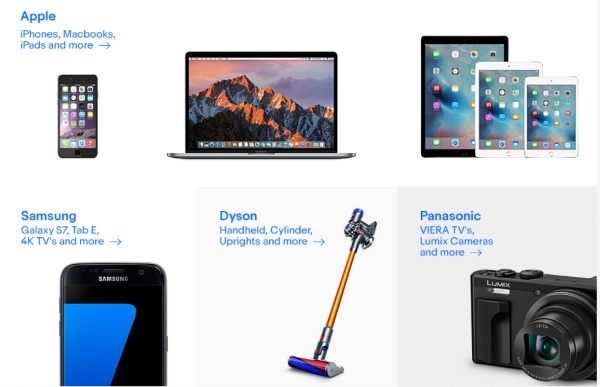 Ebay Refurbished Tech is a new to you online market for technology. Most people are familiar with buying refurbished technology but many still avoid it believing that brand new products are going to be better. In some situations you do want to buy new but for many products, there are low cost refurbished options that will work just as well (for a lot cheaper). This site offers a guarantee on many of the items that are purchased from it. Much of the stock is gently used and are retail returns that have had parts replaced so that they function correctly. Pick up a “new” phone or tablet with ease. This is a perfect solution for parents looking to buy tech for kids or just people who are shopping on a budget. Check out the website for more info.